Valentine’s Day is around the corner and the pressure to give the perfect gift to your better half or new bf/gf simply keeps increasing. 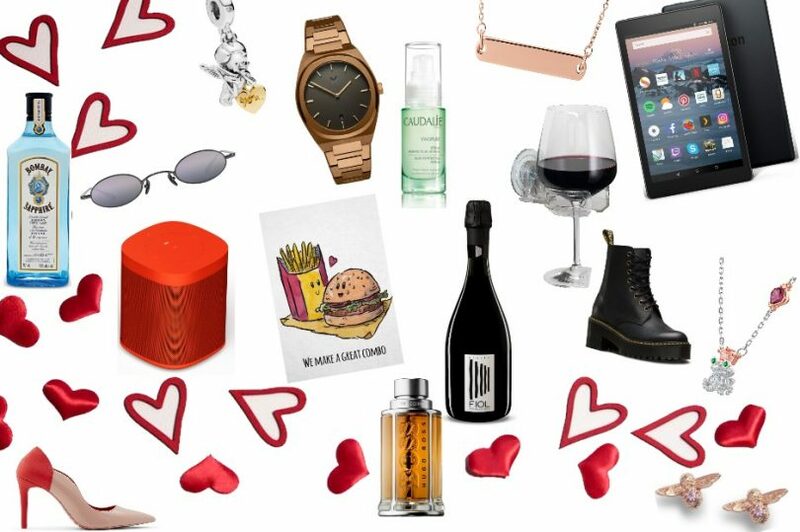 To help turn up the heat, we have curated the perfect gifts for the girlfriend, the boyfriend, the couple, and for treating yourself, of course. Swap sweet nothings for sweet messages engraved in jewelry she’ll hang on to forever (at least until you’ll are together, if forever is too much atm). This Links of London Narrative 18kt Rose Gold Vermeil Short Bar Necklace, $245, is chic, elegant and utterly romantic once you’ve engraved a special message on it. Pandora has a plethora of fine jewelry that will warm your way into any lucky lady’s heart. The new charms make a sweet statement, like the Cupid & You Dangle, charm, $75. If you’re a new couple, this is one cheesy way to tell her cupid’s got you. A cheesy, yet utterly romantic, gift is this Swarovski Out of this World Kiss Necklace, $89. ‘You have to kiss many frogs to find your prince charming.’ This frog prince necklace hops straight out of a fairy tale romance and this might just be the happily ever after you’ll are looking for. Could this bee anymore pretty? These Olivia Burton Bejewelled Bee Stud Earrings Rose Gold & Amethyst, $70, earrings are hand-designed at a London studio and crafted from rose gold-plated sterling silver. This stunning pair is embellished with a little amethyst stone to complete the look and makes a perfect Valentine’s gift. What to get Bae? How about an aptly titled pair of pumps called Bae from Call It Spring, $59.99? These flirty, two-toned pumps are a shoeaholic’s best friend. She’ll adore these (and you) for it. Is she a free spirit who swaps heels for comfy boots and loves a classic jeans, boots and a tee? Your girl would love these Dr. Martens Shriver Hi Wyoming, $209.99. It’s right on-trend and has a rebellious vibe that she will dig. If he’s into basketball, the new Under Armour Curry 6, $160, shoes is the key to his heart. These shoes are inspired by Stephen Curry’s first year in the NBA. Is it’s good enough for Curry, it’s good enough for your man. This ISO watch my MVMT, $190, is a dash of dapper served with a rich bronze finish, making this a style statement. He’s going to need another arm candy, aside from you. Take seduction to the next level. Boss the Scent by Hugo Boss, $106, is an irresistible fragrance with notes of spicy and fresh ginger, lavender, seductively sweet and exotic African maninka fruit. If fragrance is truly the currency of love, then this one is a keeper. If he opts for comfort and style, and is always on the go, then the All Birds Tree Toppers, $165, is the gift to give. The sugarcane outsoles and padded insoles make these shoes a super comfy option. Planning to cuddle up with your loved one? Fiol Prosecco, $16.25, is the bottle of bubbly that will get you both in the right mood. The wine has aromas of pear, citrus and green apple with notes of white flowers and banana. Bombay Sapphire London Dry Gin, $29.45, is your go-to if you’re planning to woo her with cocktails. Created from a combination of ten botanicals, this gin is infused with elegant aromas and complex flavors that are clean and balanced with a crisp finish. This will add the spark to get your evening going. One way to spend Valentine’s Day as a couple is to take a massage for two at the Miraj Hammam Spa by Caudalie in Toronto. Their Couples Hot Stone 90 minute Massage for Two, $628, indulges your senses as you two relax and get seduced by the serene atmosphere. Valentine’s Day cards just got cuter with these punny messages from Etsy for $7. With ‘Yoda Only One For Me‘ you can show the space princess or scrappy smuggler in your life that they are indeed, the droid you’ve been looking for. We also love the ‘We Make a Great Combo‘ showing that he/she hamburgled your heart <3. If you and your squad want to celebrate Galentine’s Day, then this Hay Sonos One Limited Edition speaker, $229, is a must as you enjoy room-filling sound. From Britney and Whitney to Michael Jackson and Spice Girls, you can have a girls night in on this boom box. Caudalie’s new Vinopure line is the gift you need to give yourself. The Vinopure Skin Perfecting Serum, $59, and Mattifying Fluid, $48, is concentrated in natural salicylic acid, grape polyphenols and organic essential oils to reduce the appearance of imperfections and tighten pores. Giving yourself the gift of skincare this winter is quite ideal, what say? This winter, treat yourself to the Hydrafacial at Caryl Baker Visage. It’s a 3-step, 30-minute facial treatment, that gives you the best skin of your life! HydraFacial uses patented technology to cleanse, extract, and hydrate your skin. The super serums give an instantly gratifying glow. If you’re newly single, you’ll be telling your ex: Thank U, Next. To prep for your Valentine’s Day date, invest in your million dollar smile with the Oral-B Genius Pro 9600 Electric Toothbrush, $299.99. It’s an advanced electric toothbrush which uses bluetooth, your smartphone and facial recognition technology to allow you to see and improve your daily brushing habits with feedback. Also, the Crest 3D White Whitestrips with Light, $119.99, will ensure your pearly whites are at their best in all those selfie pics. Just 10 days and you’re date-set-go! You know those long baths you love to soak in to drown the stress away? eBay has just the item to gift yourself. The Bath & Shower Portable Suction Cup Holder Caddy for Beer Wine Cans Glass Clear, $22.47, is one option we heart. You can now enjoy your glass of wine while enjoying your hot bath. 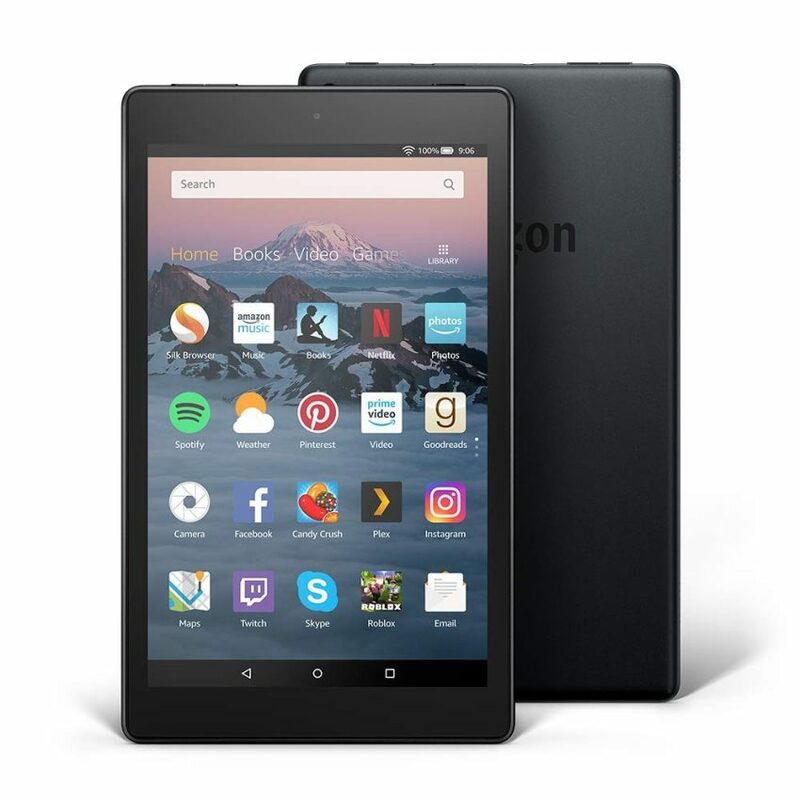 Amazon’s new Fire HD 8 Tablet with an 8″ HD Display with 16GB, $99, might just be the travel tab you need when on the go. You can enjoy millions of Kindle eBooks, games and apps – including Prime Video, Netflix and Spotify. Bon Look’s Stellar, $75, sunnies needs no more introduction. These mini shades sit on the nose while you pout away like a super model. They’re on-point and a seasonal statement accessory. These new Listerine GO! Tabs eliminates bad breath odors and gives a clean fresh breath for up to four hours. You might want to keep these with you if you have a date planned for Valentine’s.